Healthy India! – Clean India! Bestower Charitable Foundation works with it’s partners/sponsors to improve impoverished and rural communities with healthcare awareness. BCF trained teams, educate children and their families proper hygienic health habits. We provide monthly medical check-ups in urban areas of Delhi. Our teams teach rural and urban communities how to prevent disease spread by dirtiness, flood waters, and mosquitos. 2018, first phase of project Healthy India! – Clean India! BCF is implementing this project March-October, this year. 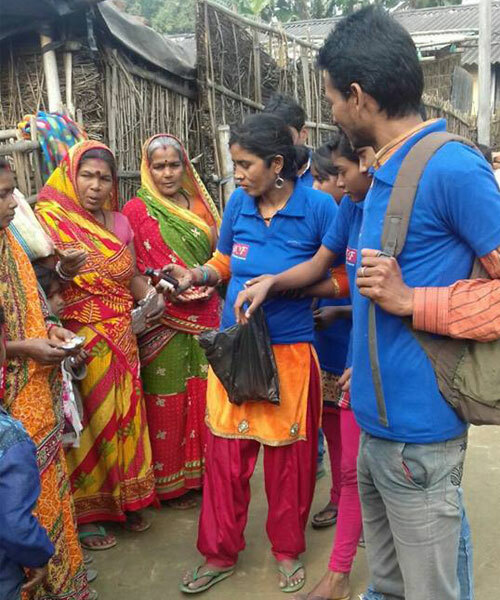 Our teams train rural areas, as well as slum, and ghetto urban areas of Bihar and U.P We teach disease awareness. Through project Healthy India! – Clean India! we distribute preventive medicine for diseases caused by mosquitos, dirtiness, and flood waters. The medicine is homeopathic, 100% safe, and 99% effective in disease cure, and prevention.